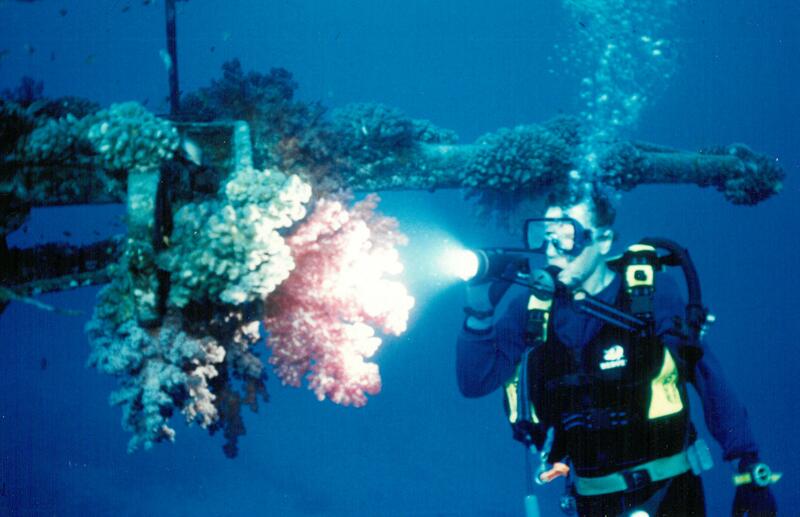 HAVE YOU EVER tried Sub aqua diving? If you have the time and patience I can recommend it. If only as a leisure activity (as there are some serious clubs around) it should be experienced. The only problem is ‘doing it’ in the UK – the waters are rather murky and visibility somewhat limited. I learned to dive in Cardigan in Wales some years ago and that is no exception. Being a beginner in very limited visibility waters has its drawbacks and can be a little disconcerting. 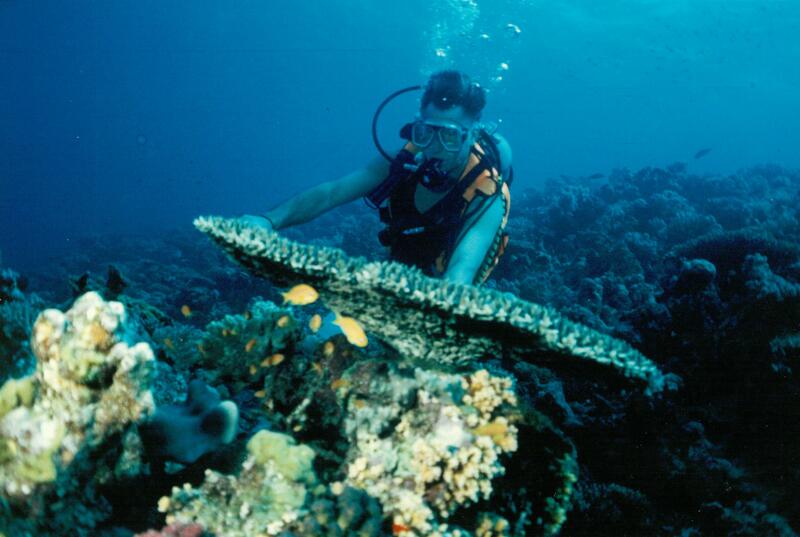 I remember the very first time I dived I was terrified that water would seep into my mask and I would have to go through that procedure of removing the mask underwater to clear it out. So I jammed the mask on very tight so that would not happen. As I descended the pressure built up and the mask tightened even more to my face causing me great pain. I had to remove it to loosen it and then, of course, replace it! When I surfaced and removed the mask again I had an embarrassing blood pressure mark around my face! 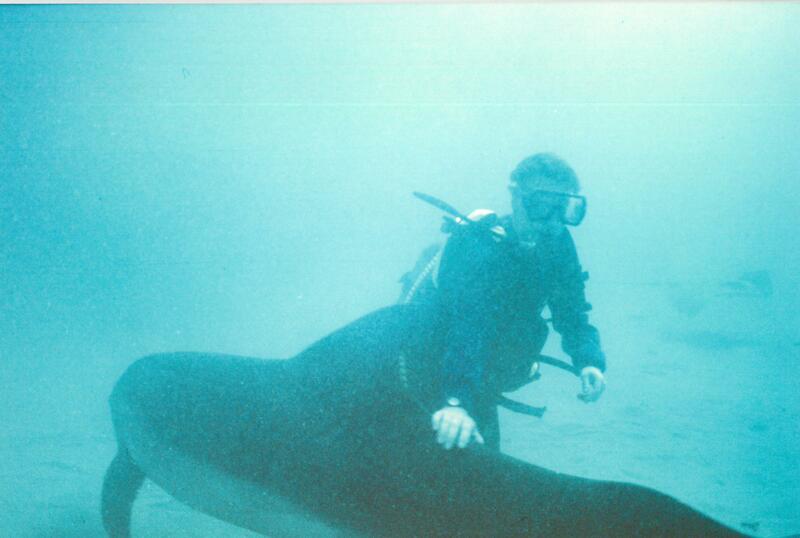 The second time I dived I had difficulty descending as I did not have enough weight on my belt. I pushed down to the sea bed and collected some stones and put them in my stabilizer jacket for more weight. Fine. Then one of my flippers (sorry, fins) on my foot came loose. As I bent over to tighten it, the stones fell out my pocket and up I went! The third time and thereafter I had no more ‘teething’ problems but visibility did not improve very much. 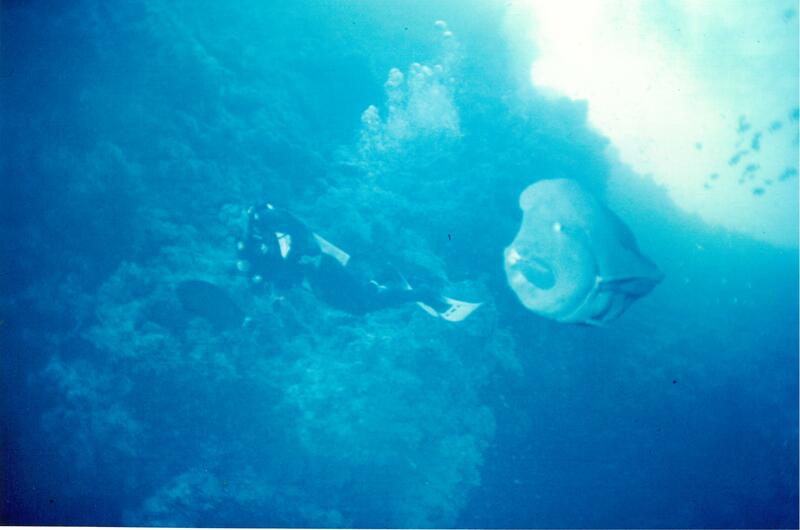 I was then fortunate enough to be able to go on a 10 day trip to the Red Sea with an ex-mariner colleague of mine, Simon. Now that is a place to dive. 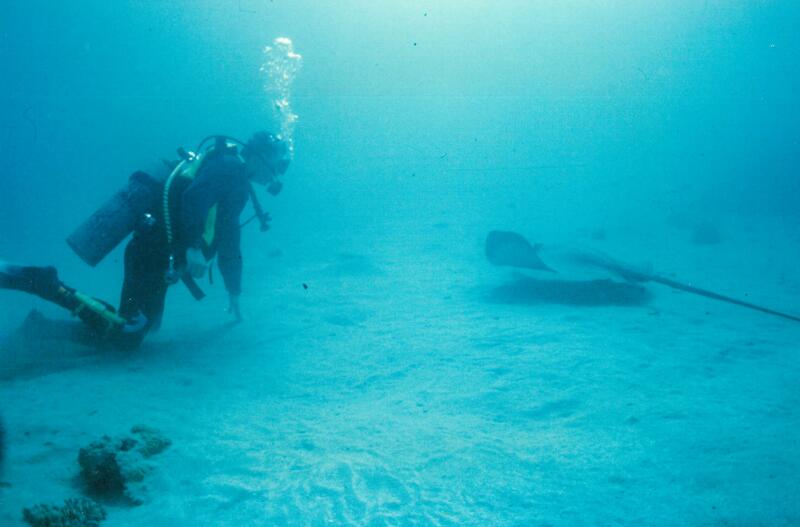 The journey began in Eilat in Israel, where we dived with dolphins, a manta ray and a turtle. This was quite amazing. 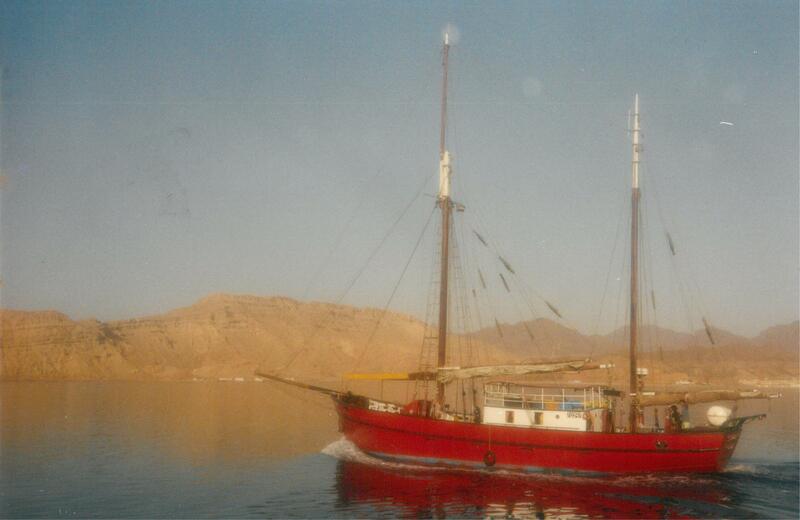 We then picked up our boat, the Poolster, which was to be our transport down the Red Sea. Not the most luxurious of boats but adequate and it was a cheap trip after all. Anyway, the skipper was a good chap, as were the rest of the divers – a very friendly and humourous bunch. 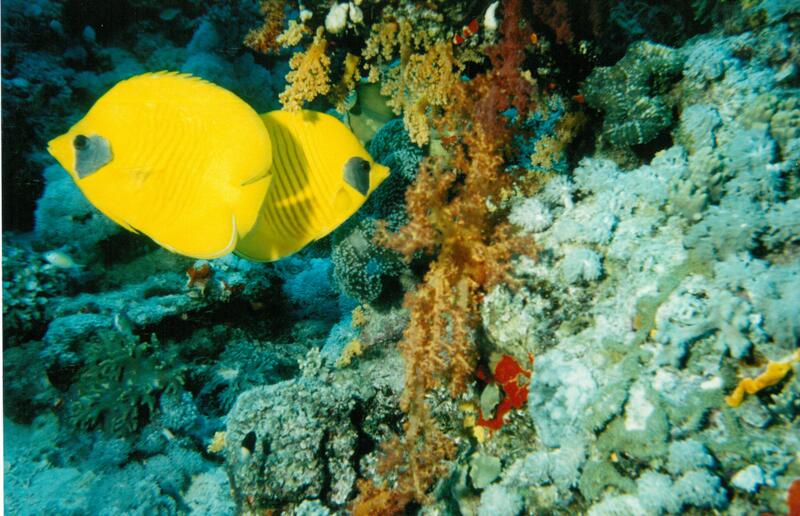 We sailed down the Sinai coast of Egypt, stopping off at various dive sites. Throughout all these dives living coral of all shapes, sizes and colours were in abundance including the magnificent gorgonian, fan and stinging fire corals. A white-tip reef shark was spotted during one of the dives off the East African Suez coast but it kept well away from us. In saying that, in 2010, there were 5 shark attacks (one of which was a fatality) off Sharm el-Sheik where we were diving, and another at the same place in March this year (again a fatality) – had my trip not been before these attacks I may not have gone! Two moray eels of great magnitude were encountered, but not being naturally aggressive (the eels not us), they simply retreated into their coral hideaways when our inquisitive approach became too close. I was taken by surprise by a rather large Napoleon Wrasse but it was quite friendly. In fact most of the fish are no problem – except the brightly coloured and striped Lion Fish whose spiky fins are poisonous. One has to be a little careful of these fellows as they do not just swim away when you approach so you have to keep a sharp eye on them – or you get a sharp something else. 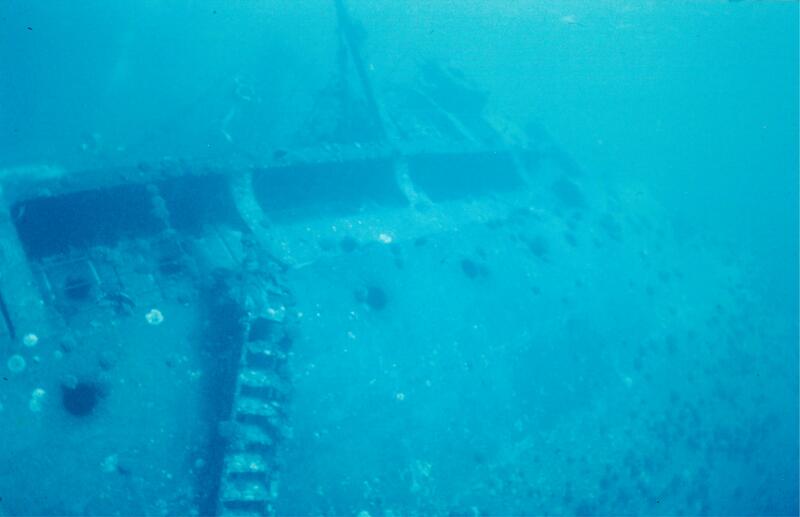 The wrecks we dived were somewhat eerie as they lay dormant in their watery graves. Nevertheless it was an interesting experience to investigate the life that had set up home on their immense superstructures. But no way was I going inside these rusting relics of the deep – well, going in is one thing, coming out is another! Finally the famous Ras Mohammed was visited. At this site a coral wall drops from 20m to some 700m into the deep. An awesome site, but not good if you suffer from vertigo. Buoyancy and common sense overcomes the temptation and curiosity to follow the ‘wall’ down any further than 30m. 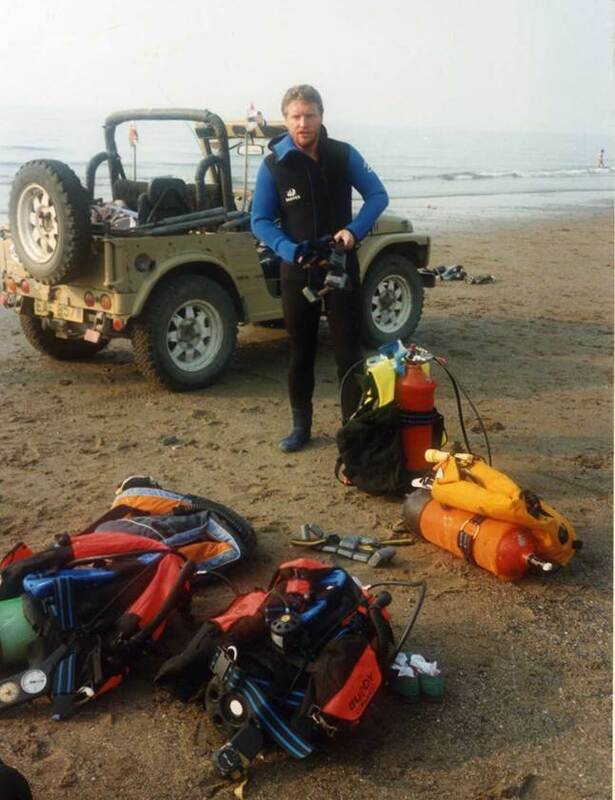 There is one great downside to diving the Red Sea and I was warned about it by a fellow diver in Cardigan. 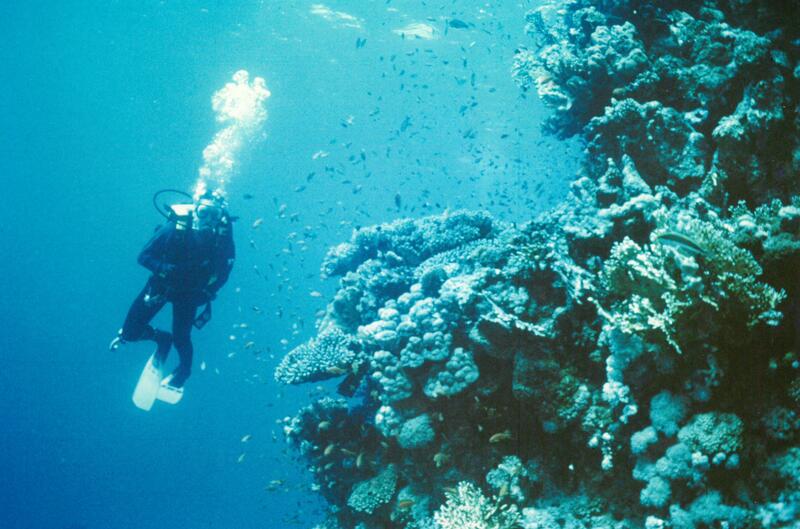 He told me that once I dived the Red Sea I would not want to dive British waters again. He was right. Saying that, I did manage to complete my British Sub-Aqua Club (BSAC) Dive Leader qualification on my return to the UK but that was some time ago and I haven’t dived since! My dear friend, Sir Barclay Hartwhistle, told me that he was out on his front porch in Africa one day and saw a gorilla in the tree on his front lawn. He called animal control and about an hour later a man showed up with a ladder, a pit bull dog, and a shotgun. Looks great. I am always in awe of anyone who dives over your way. Cold and murky waters. I guess we are a bit spoilt and soft. Might now consider doing some diving over that way. We tend to always go to Papua New Guinea which has magnificent diving but getting there and staying there is sometimes unsafe.